Winter is coming, and it can often lead to emergency roof repair in Kansas City. Is your commercial roof ready to protect your building from winter’s worst without the need of roof repair in Kansas City? Even a new roof in Kansas City will have to be prepared for winter to ensure that your roof will protect you to it’s best. Residential and commercial roofing contractors in Kansas City are here to help get you and your roof ready. 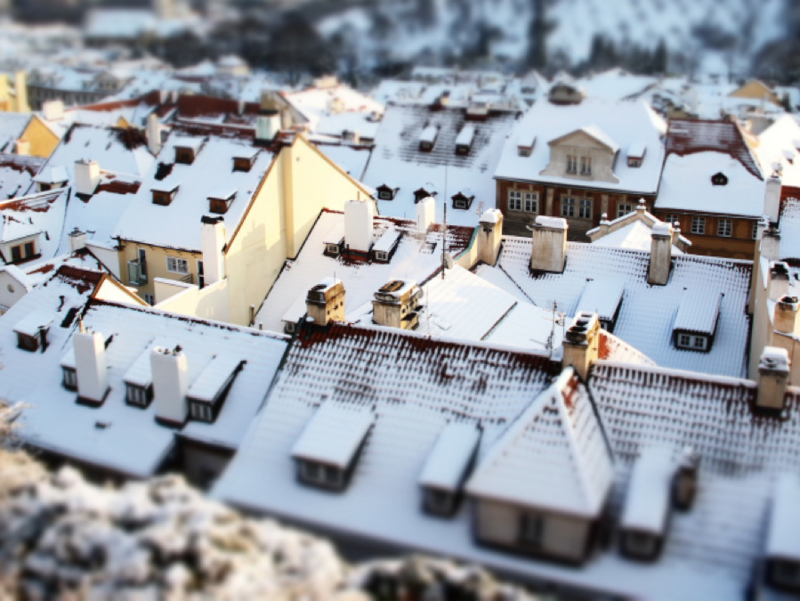 Here are 4 steps to prepare your commercial roof for winter’s worst. Before winter weather arrives, make sure to contact the best roofer in Kansas City and request a professional roof inspection. During a roof inspection, a Kansas City roofing company will inspect the surface, substructure, and integrity of your roof. Your premium Kansas City roofing contractor will remind you that it is important to fix any issues your roof may have before the harsh winter weather arrives. After your roof is inspected by great commercial or residential roofing contractors in Kansas City, it is essential to prevent any issues from happening by ensuring that your gutters and drainage system is clear of any dirt or debris. This will ensure that your roof will not leak. Anything sitting on your roof’s surface can be a hazard to your entire roof system. Mold, algae, and other leak causing issues can be found on a dirty roof. It is not only important to examine your roof before winter, but also to inspect the trees and over-arching objects surrounding your roof before winter. You will want to look for any trees or buildings that can negatively affect your roof during the winter season. Remember to cut and trim any branches that could damage your roof if it breaks. If you do find yourself in the middle of a winter roof repair emergency, it’s essential to have your trusted roofing company on call and ready for action. Make sure that your family or team knows what to do if a roof leak or other damage takes place. Gather your trusted roofer’s information, insurance paperwork, and a copy of your roof warranty in case such an emergency would occur.